SAA is the largest airline in Africa with 30 destinations throughout the continent. Double daily flights from the UK to Johannesburg allow freight to connect with the SAA network and to the SAA freighter operation. 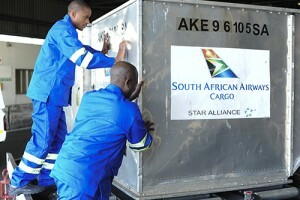 More information and track and trace is available through the SAA Cargo website.